A winter storm warning for the Washington region remains in effect from 6 a.m. Sunday to 6 a.m. Monday -- just in time for the first round of travelers to head home from the holidays. This all stems from a storm system that meteorologists have been watching the last several days as it tried to develop along the Atlantic seaboard. Well, it did. And here we are, with forecasts of up to 10 inches of possible snow for parts of the D.C. region. 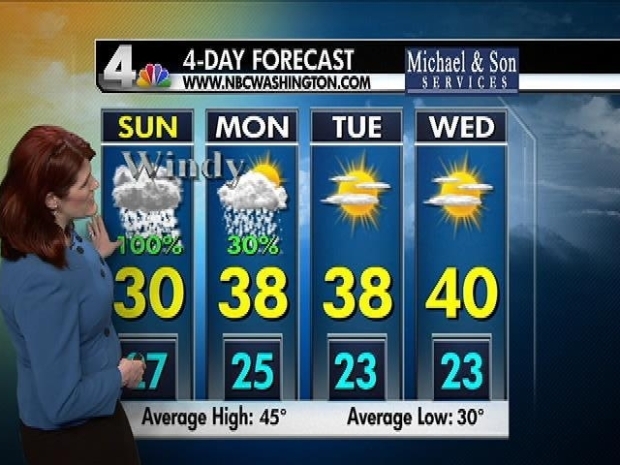 Unlike most storms we have in the area, this one will see more significant snowfall totals to the east of the District than to the west, according to NBC Washington meteorologist Kim Martucci. 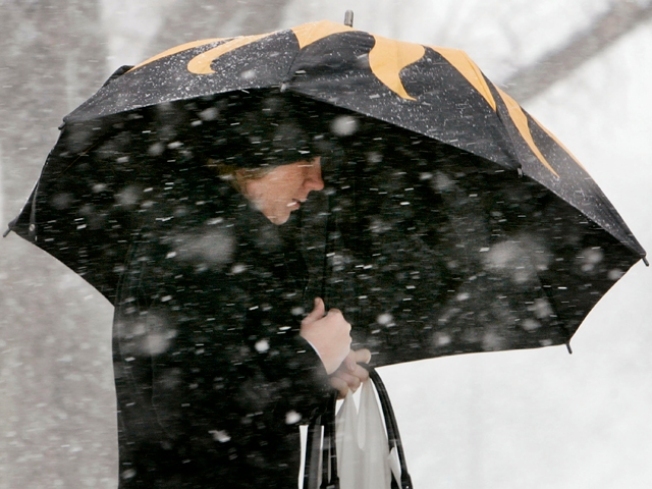 Snow should start Sunday morning in the D.C. area, and there could be 1-2 inches by noon, Martucci said. There could be an additional 3-6 inches of snow inside the Beltway through the evening and late Sunday night. There could be more snow to the east, however, in places like Annapolis, Calvert and Charles counties, along the Bay to the Eastern Shore. Areas west of the Beltway, which are usually the heavy snow regions, could only see 1-4 inches of snow this time around. Wind gusts could also reach more than 30 mph. Very strong winds could develop during the afternoon, which will cause blowing and drifting snow, reduced visibility and treacherous road conditions. What does it all mean? It means travel will be a mess up and down the East Coast. Martucci even said it could be a "paralyzing" storm for travel on Interstate 95. 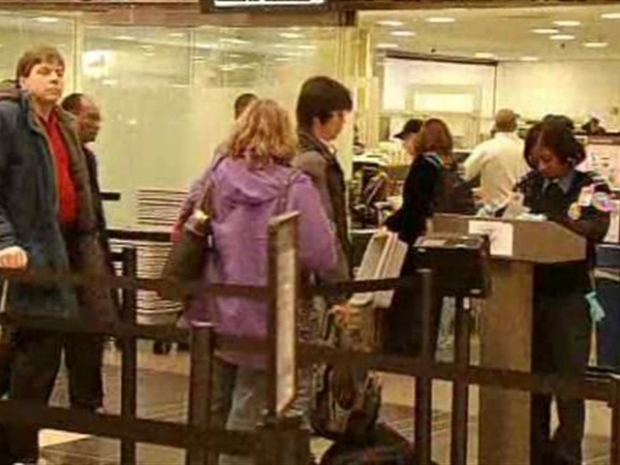 News4's Chris Gordon found out how D.C. is preparing for tomorrow's winter storm. The snow should start winding down by late Sunday night. The wind gusts will remain, however. We could see some random snow showers or flurries Monday morning as the system exits our area and moves up the coast toward Boston. So any travel in that direction will still be dicey.